Kenneth F. Shane, of Doylestown, PA, died peacefully on Wednesday, April 27, 2016, at Pine Run Health Center, Doylestown, PA, surrounded by his loving family. He was 84. Born in Chester, West Virginia, he was the son of the late Charles and Josephine VanSwearingen Shane and brother of the late Duane Shane, Dorothy Arnold and Mary Lou Haney. Mr. Shane was a resident of Doylestown for the past 13 years and formerly lived in Columbus, OH, for 43 years. He retired as Assistant Vice President of Manufacturing for Worthington Steel Company in Columbus, OH, and formerly owned and operated the Shane farm, Hookstown, PA. For many years he was a member of the Lions Club, past president of Central Ohio Management Association, in Columbus, OH, a member of Hookstown Grange #1980 and was active with the March of Dimes. In his leisure time, he enjoyed woodworking and making stained glass art work. He was the beloved husband of Alice L. Compston Shane for 65 years. He will be sadly missed as a devoted husband, and loving father, grandfather and great-grandfather. In addition to his beloved wife, he is survived by his five children, Todd Shane and his wife, Sally, of Columbus, OH, Joseph Shane and his wife, Tamara, of Hartville, MO, Amy Crandall and her husband, Timothy, of Doylestown, PA, Mark Shane and his wife, Sandi, of Cleveland, OH, and Keith Shane and his wife, Janis, of Colorado Springs, CO; his brother-in-law, James Arnold, and two sisters-in-law, Anna Mae Shane and Judi Compston. He is also survived by his 14 grandchildren and 23 great-grandchildren. Relatives and friends are invited to attend his viewing on Monday, May 2, 2016, from 9 a.m. until his funeral service at 11 a.m. at MCCONNELL FUNERAL HOME, 447 Pine St., Hookstown, PA 15050. His interment will take place at Mill Creek Hill Cemetery, Georgetown, PA. In lieu of flowers, contributions in his memory may be made to Lions Club International Foundation, 300 W. 22nd Street, Oak Brook, IL 60523-8842, or Pine Run Lakeview Personal Care Home, 2425 Lower State Road, Doylestown, PA 18901. 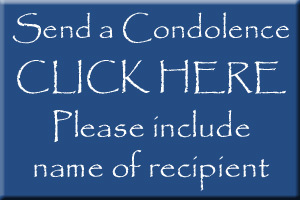 Local arrangements under the direction of Joseph A. Fluehr III Funeral Home, New Britain, PA.